You’re looking for a local, experienced, cost-effective, divorce lawyer and that’s EXACTLY what 1-800-DIVORCE has been providing since 1991. American consumers have always responded better (one controlled study shows a 14X improvement) to advertisements containing a memorable, gimmicky toll-free phone number than to ads containing a purely numeric toll-free number – and even better still over a regular local non-toll-free number. The best way to find a local divorce lawyer is 1-800-DIVORCE. That means 1-800-DIVORCE lawyers tend over time to get more calls and more cases from their advertising. Accordingly, 1-800-DIVORCE lawyers tend to be more experienced than their local competitors of similar duration in the profession who spend similar amounts of expertise and money on marketing their legal services. You may also draw the reasonable conclusion that professionals in all fields, not just lawyers, tend to be not only more experienced but also better and more cost-effective at what they do to the extent that they have done it more than others in their profession. Not only do you want someone who knows his or her way around your courthouse but also you want someone who is known at your local courthouse. Your local 1-800-DIVORCE lawyer will be well known at all local courts because the best way to find a local divorce lawyer is through 1-800-DIVORCE. That is not to say that 1-800-DIVORCE lawyers are better than non-1-800-DIVORCE lawyers only because they have 1-800-DIVORCE. Nor can you expect the outcome of your case to be better only because you have hired a 1-800-DIVORCE lawyer. Results will largely be determined by the facts of your case and by your state’s laws. However, the level of skill and experience of your lawyer is certainly a primary factor in the outcome of your case. All lawyers are not equal. It is beneficial for you to increase the likelihood of success in your case through the wise selection of a lawyer who is more experienced and skilled by virtue of handling more cases over time than his or her professional peers. By contrast, other methods and sources available to you for obtaining a divorce lawyer are little more than a crap-shoot. If you pick someone out of the yellow pages or a free Internet directory or if you rely on a potentially embarrassing cold referral from a friend or relative, you might as well throw a dart at a list of lawyers. None of those methods are designed to bring you a lawyer who is ready, willing and able to handle your case in an experienced and cost-effective manner. And if you go through your state or county bar association referral service or some other non-profit referral system, you are merely handed the next unemployed lawyer on their list. Think about how successful that could be for you! The selection of a divorce lawyer is important to your entire legal and financial future – not to mention your health. You should NOT use a roulette wheel to find a divorce lawyer. By becoming the exclusive 1-800-DIVORCE lawyer in your area, your local 1-800-DIVORCE lawyer has made a strong and decisive commercial statement to you that he or she not only wants your business but will work hard to satisfy you once you are a client. Word of mouth referrals of 1-800-DIVORCE from divorce consumers like you can be a huge source of business for your local 1-800-DIVORCE lawyer. S/he must satisfy you to get your referrals. We say that 1-800-DIVORCE is the strongest possible commercial statement in the field of family law. As all 1-800-DIVORCE market areas are exclusive, no other local lawyer can make that statement to you. That’s why all non-1-800-DIVORCE lawyers look the same to you. That’s why your local 1-800-DIVORCE lawyer stands out from the crowd. Why would you trust your legal and financial interests to a lawyer who does not even represent his or her own professional commercial interests in a strong and bold manner? You will always be able to remember your lawyer’s phone number – either to contact your lawyer or to give the number to a friend or relative! 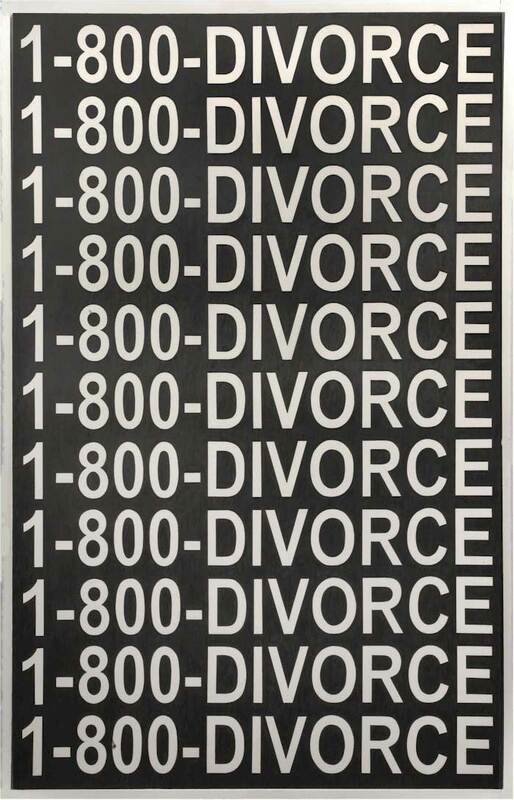 No one ever forgets 1-800-DIVORCE! !